Get 7 FREE issues of Parents magazine. This is the magazine that ALMOST ALWAYS has the 20% off Amazon diaper coupons and even had a $10 off any diaper purchase coupon in it last month! Sign up for your FREE issues here. The Amazon diaper codes (and $10 off baby store purchase codes) is over, unfortunately! 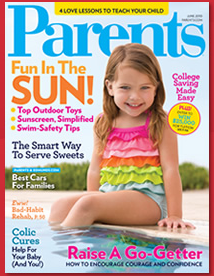 The codes all expire at the end of this month and the April issue of Parents does not have a coupon. So sad! It was great while it lasted though.